Collins Booksellers - Great Night's Sleep by Luis Bryan, 1230002354972. Buy this book online. These days, a lot of people are facing sleep difficulties constantly. It’s particularly the case for those who live in the busy city or those who are attached to latest gadgets. Most people who are facing this problem also suffer from anxiety and stress, caused by their work, family life, things they look forward to. Falling asleep has to be easy. After all, it’s a natural activity we spend approximately a third of our lives doing. However, there are times that evading sleep is unavoidable. For some, it can be a continuous chronic problem. Furthermore, the more we force ourselves to sleep, the harder for us to fall into slumber. 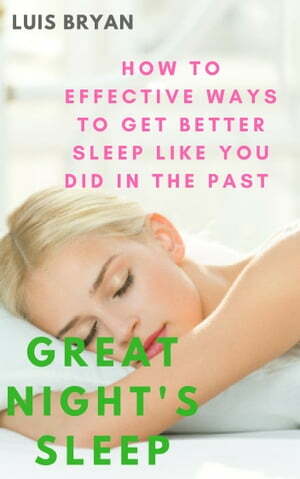 So, hopefully, the information in this book helps you to have a good night’s sleep.